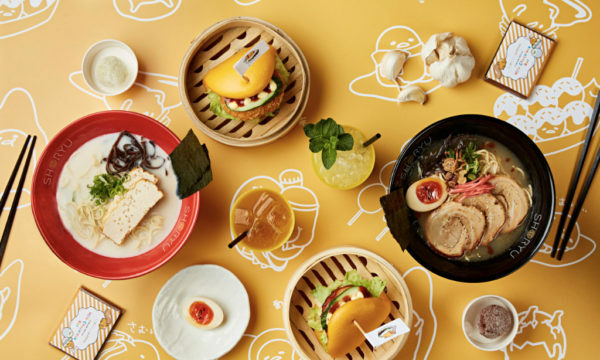 One of the world’s most important food hubs, Paris went through a series of quiet revolutions that changed the once-too-classic dining scene. 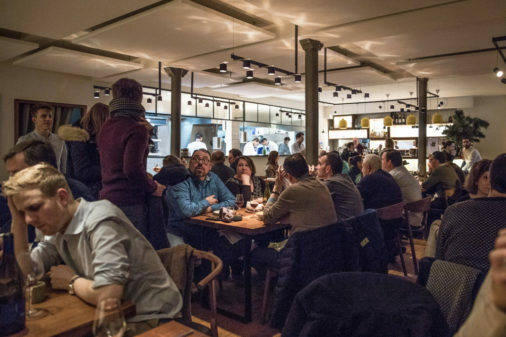 The establishment of two restaurant guides in the 2000s – The World’s 50 Best Restaurants and Le Fooding, initially underestimated – helped create a new wave of restaurateurs. 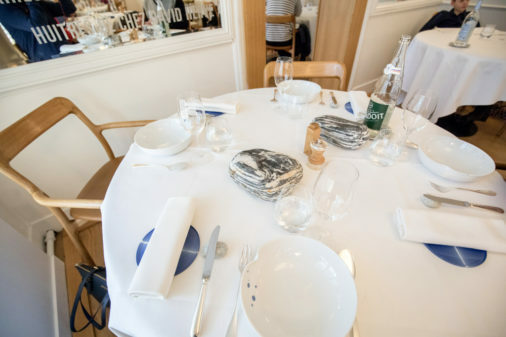 In 2011, some shocking news surfaced: a little bistro in East Paris was voted the ninth best restaurant in the world – and the number one in the French capital. 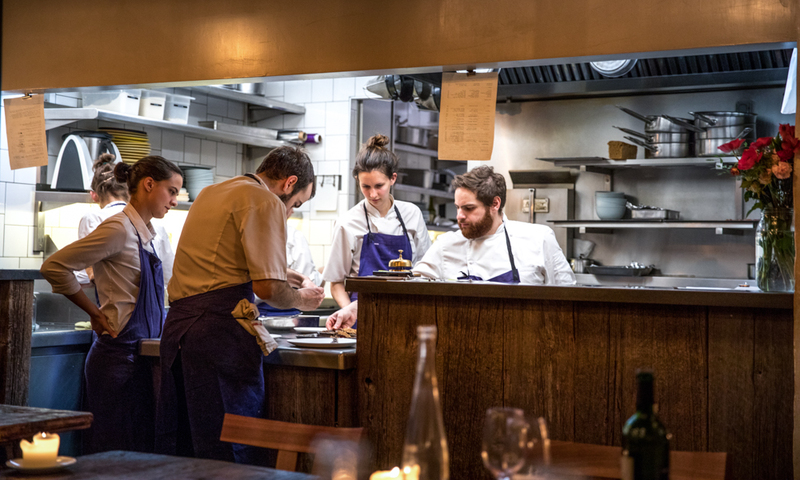 Le Chateaubriand took the helm in spite of the numerous three-Michelin-starred establishments: it was the ultimate affirmation of bistronomie. 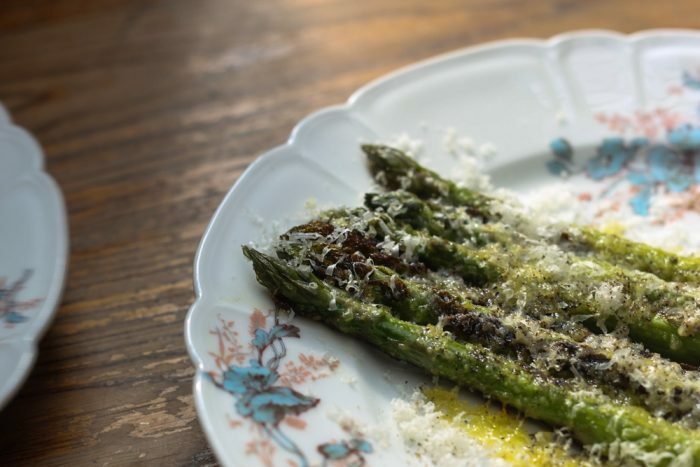 We went for a few days in Paris for the opening of the new Refettorio by Massimo Bottura, and we took the opportunity to try a few places – a few too many. 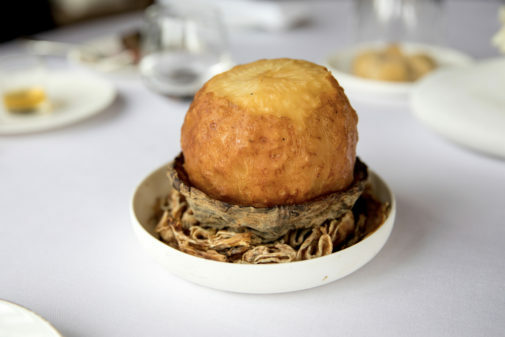 Catapulted to stardom while at Le Meurice, Yannick Alléno took over the historical Pavillon – where personalities such as Napoleon, Robespierre, Monet and Zola dined since its opening – in 2014 and quickly earned three Michelin stars. 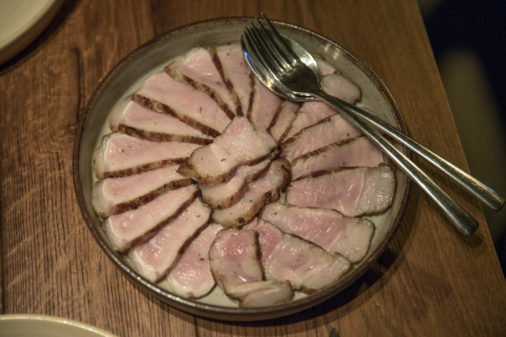 The chef’s use of the celeriac is remarkable: in one version the root vegetable is treated with honey and dry-aged to obtain a consistency similar to ham – and it’s then hand-sliced with the same technique. 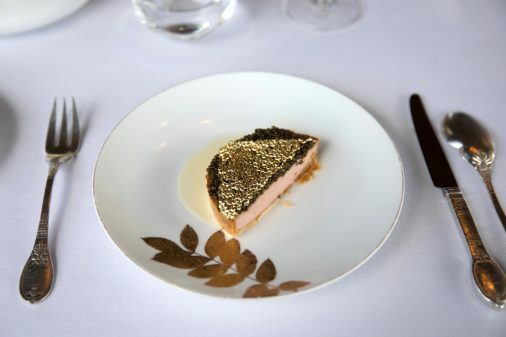 The Langoustine Tart Topped with Oscietra Caviar (and gold) is well worth its startling price tag. 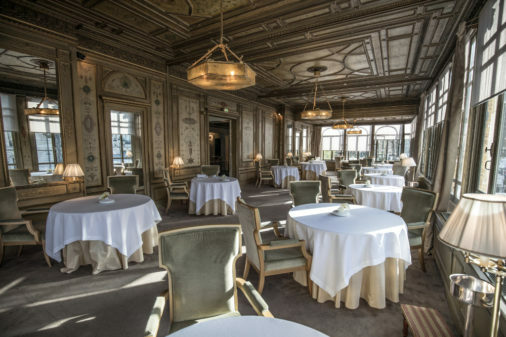 To book a table at Pavillon Ledoyen, 8 Avenue Dutuit 75008 Paris France, call +33 1 53 05 10 00 or visit their website here. 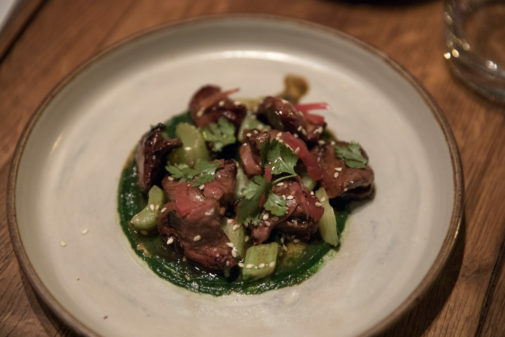 La Condesa is the debut restaurant of Mexican rising star Indra Carrillo. 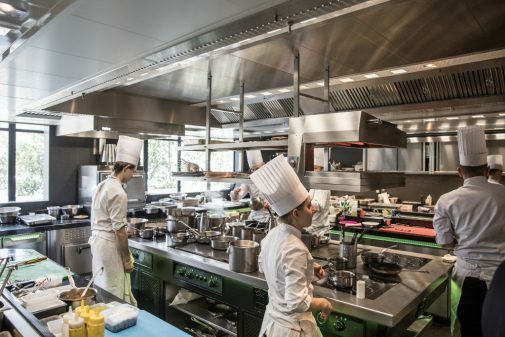 The young chef (we guess 30 years old) worked in the world’s most prestigious kitchens: L’Auberge du Pont de Collonges, Noma, Enoteca Pinchiorri, Le Meurice to name a few. It wasn’t, though, his extraordinary curriculum that impressed us, it was his meek, cautious attitude. 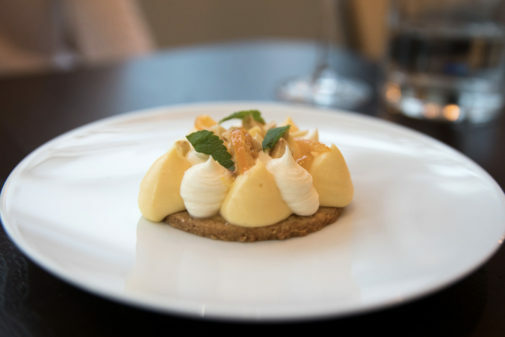 The dining room is small but classy, and – on top of some delicious courses – he served us the best dessert of the week. Definitely one to watch. 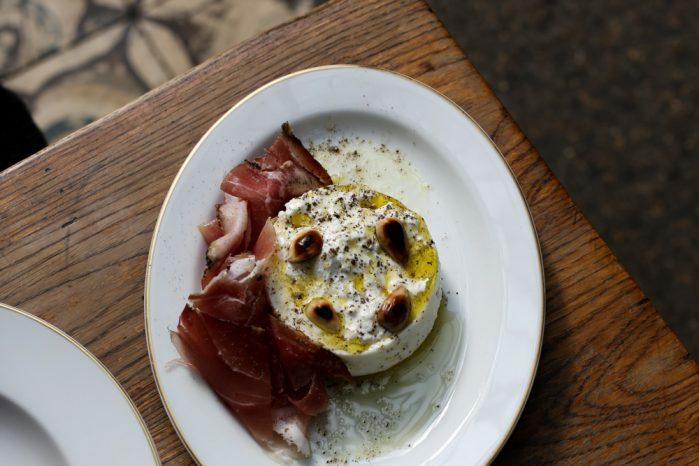 To book a table at La Condesa, 17 Rue Rodier 75009 Paris France, call +33 1 53 20 94 90 or visit their website here. 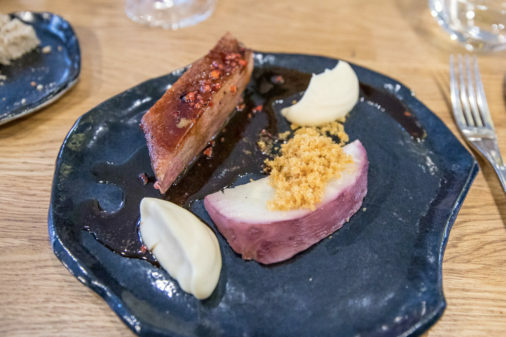 The French-Basque chef started the bistronomie revolution and, in the era of trying to constantly look for the “next big thing”, his menu is more relevant than ever. 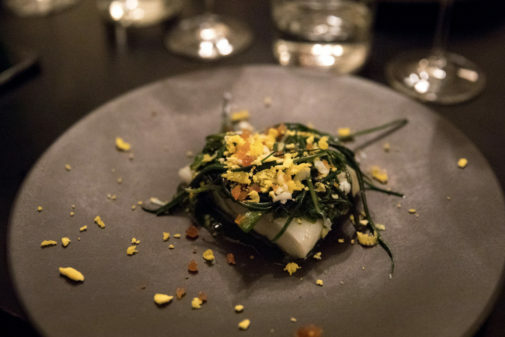 The man who stunned the Michelin with his unconventional, clandestine attitude to cooking – globally celebrated by the World’s 50 Best list – ironically received a star from the red guide now that the list doesn’t include his bistro in the best 50 anymore. 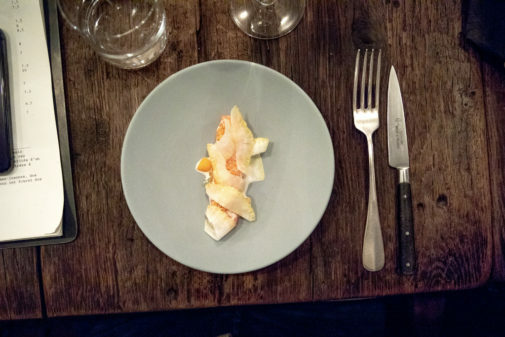 The “problem” with Aizpitarte is that talking about his feats always precedes the food of Le Chateaubriand, which we absolutely loved. 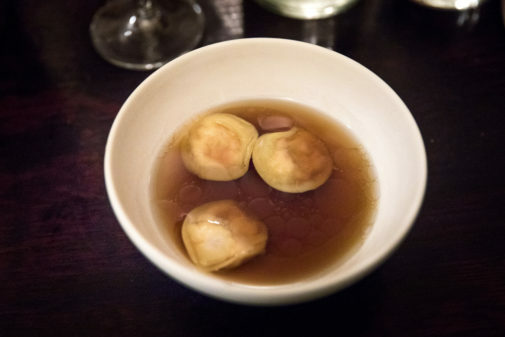 Highlights of the surprise menu included a celery broth – so flavourful we couldn’t believe what we were having – and a dish of raw scallops covered with three different radicchios and smoked ricotta. The latter was genius. That true genius that tomorrow will take a different form, and the next day another form. And the next day another. And then another. That’s why Aizpitarte’s menu is more relevant than ever, because it affirms that what he did wasn’t ephemeral, and before looking for another revolution we should still enjoy this one. 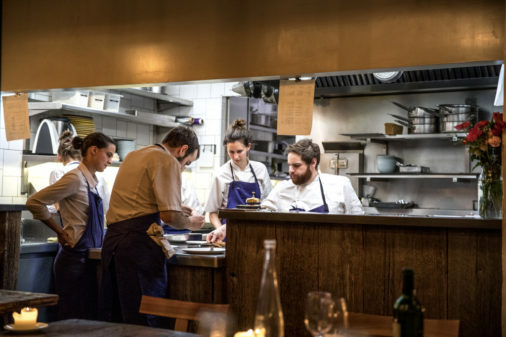 To book a table at Le Chateaubriand, 129 Avenue Parmentier 75011 Paris France, call +33 1 43 57 45 95 or visit their website here. 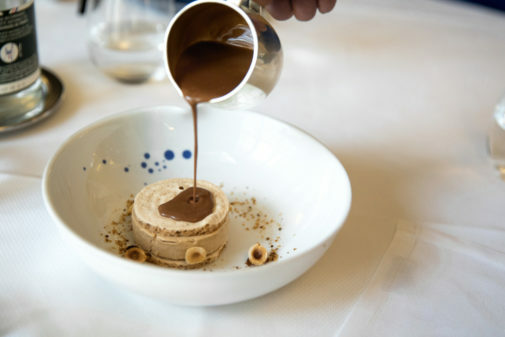 If Aizpitarte pioneered bistronomie, Bertrand Grébaut took it to the next level. 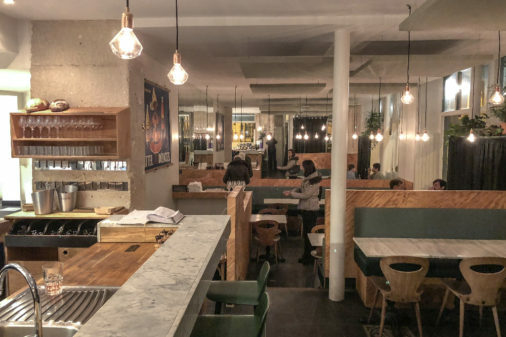 With the experience of working at Alain Passard’s Arpège, the former graffiti artist built a temple of good food in the 11th arrondissement. 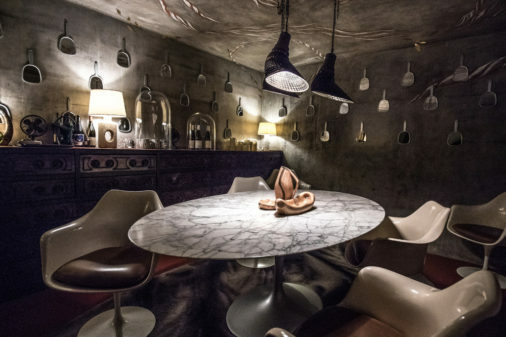 It’s a temple made of heavily distressed wood tables and walls in need of plastering – and it’s all intentional. 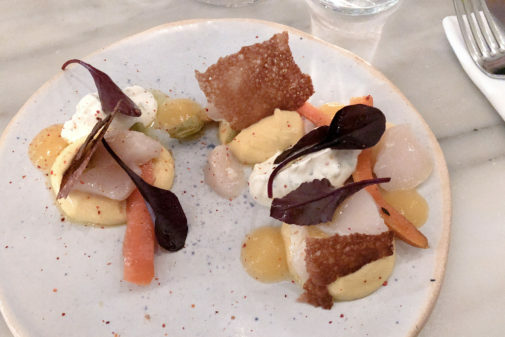 The cured trout with its own caviar and citrus was a joy for the taste buds, and a lovely pairing for the Jacques Lassaigne blanc de blancs Vignes de Montgueux. 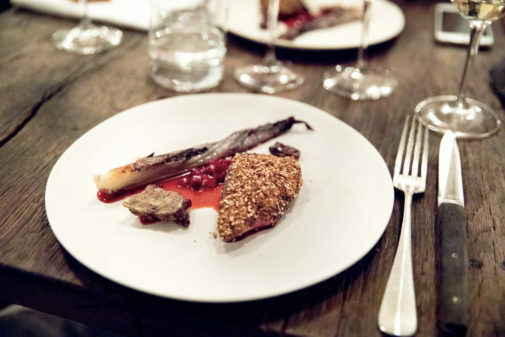 Grébaut, however, outdid himself with the pigeon. He covered the breast with spices, spices that did not overpower the meat’s flavour to any extent, they actually made it come out stronger. It takes so much talent to pull that off – chapeau. 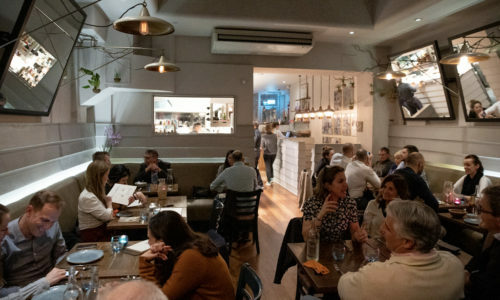 The refreshing view of an open kitchen populated mostly by women made the dinner a whole lot better. 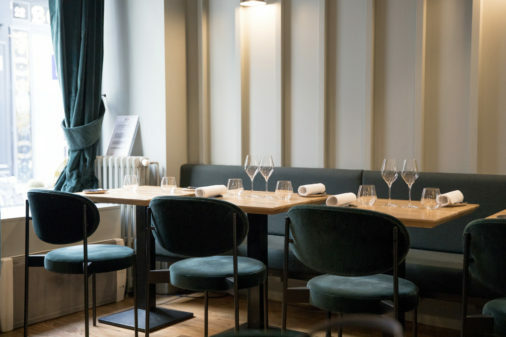 To book a table at Septime, 80 Rue de Charonne 75011 Paris France, call +33 1 43 67 38 29 or visit their website here. 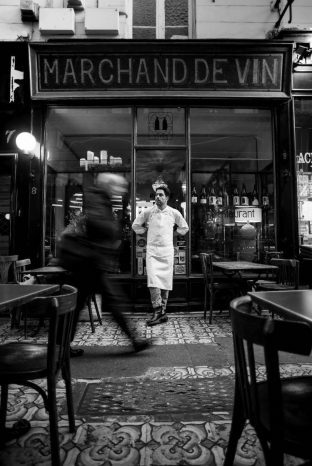 Caffè Stern is the Alajmo brothers (of Le Calandre and Ristorante Quadri) restaurant in Paris. 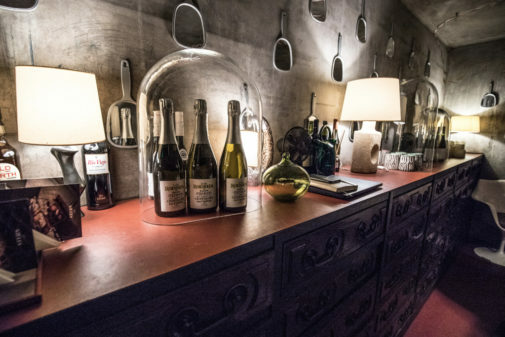 Curated by acclaimed interior designer Philippe Starck – and formerly the site of historic Stern printing boutique – this jewel within Passage des Panoramas is a great place for cicchetti (snacks usually accompanied by wine), dinner or even just a cup of tea: the clever layout (four rooms) allows for these different purposes. 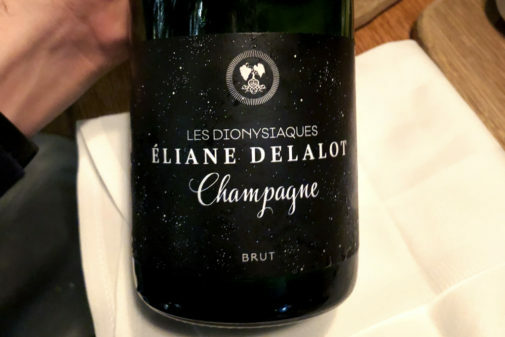 We deeply enjoyed the snacks – the meatballs are too good – with a bottle of rare (less than 1,000 units produced) Éliane Delalot Les Dionysiaques, an exquisite champagne made mainly from pinot meunier. 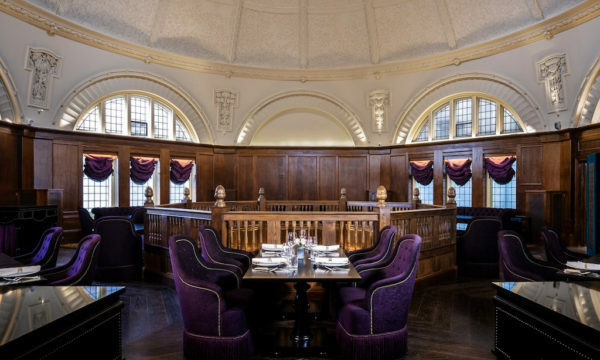 Then we visited the private dining room and it was one of the most beautiful we’ve seen in our lives: set inside the former safe (where the printer would keep bank notes and certificates), it feels truly exclusive and classy. The 50cm-thick door you walk through is hard to forget. 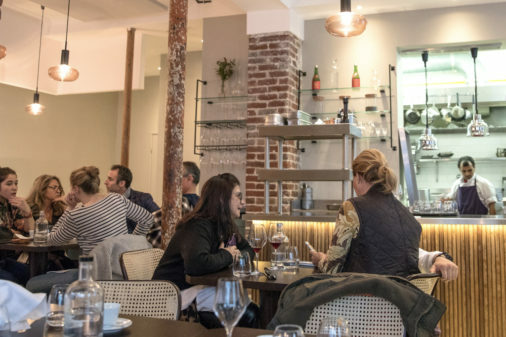 To book a table at Caffè Stern, 47 Passage des Panoramas 75002 Paris France, call +33 1 75 43 63 10 or visit their website here. 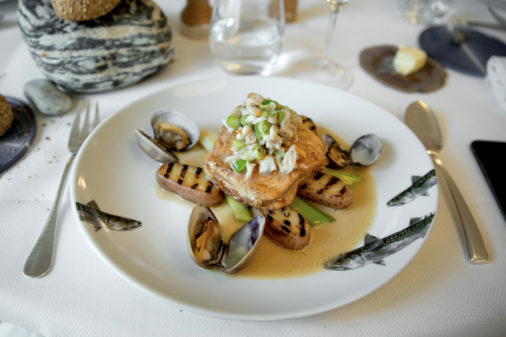 Alain Ducasse is not only the chef behind the ultra-Michelin-starred restaurants at Plaza Athénée and Le Meurice in Paris, he also looks after a number of classic bistros specialised in more traditional French cuisine. 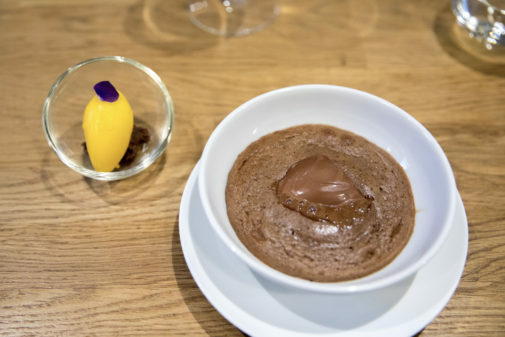 We were torn between Aux Lyonnais (Lyon-style food) and Rech (seafood) and we chose the latter to keep our meal a bit lighter (ok I have to confess I had a bite of the quenelle at Aux Lyonnais – very tasty – the day before, but that was it). 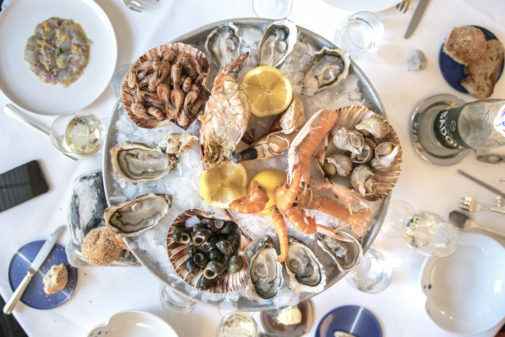 Like kids in a sweet shop, we had to get the largest platter of seafood – the Royal Platter, which is a triumph of oysters, langoustines, prawns, crab, shrimps, whelks and periwinkles. It was fun to tackle. It was also a pleasure to be served by maître d’ Eric Mercier, a true star. 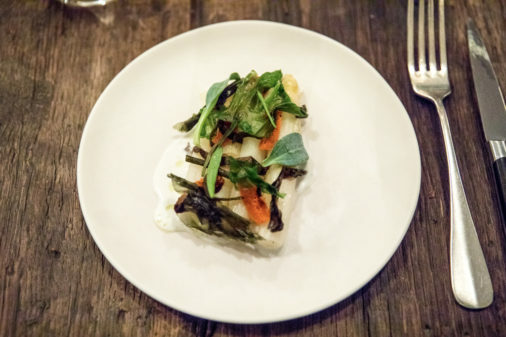 The actual fish, though, is where Rech shines: my turbot from Brittany was cooked exactly as it should be. 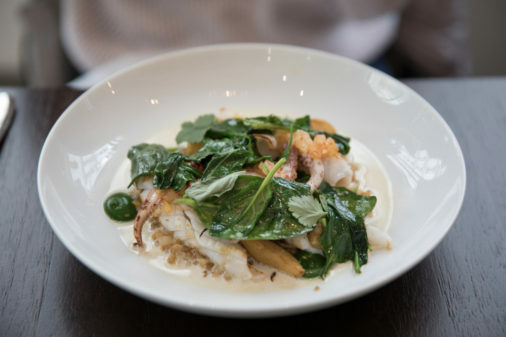 It was simple, but that’s when cooking fish gets difficult: reaching that point where the flesh is tender yet compact. The XL Chocolate Eclair and Mister Rech were two luscious desserts to finish our lunch. If you are after fresh fish, look no further. 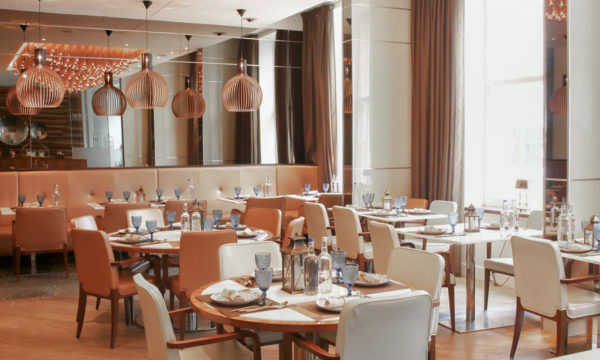 To book a table at Rech, 62 Avenue des Ternes 75017 Paris France, call +33 1 58 00 22 13 or visit their website here. 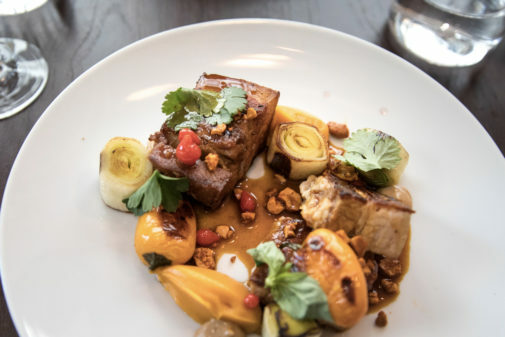 If you love meat, this is a place to go in Paris – however, make sure you bring at least another meat lover with you because the best dishes are for two people. 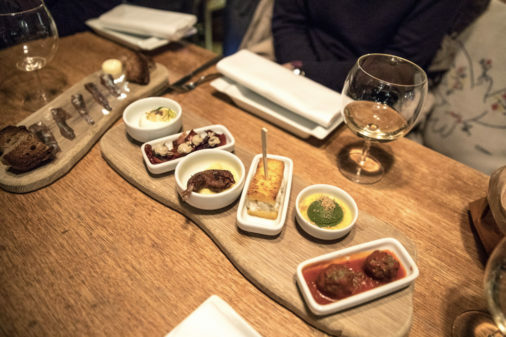 We had a wonderful Côte de Cochon du Ventoux (pork from Ventoux) and, as a starter, some really intense barbecued duck hearts. It’s not only about meat though, scallops were great too. 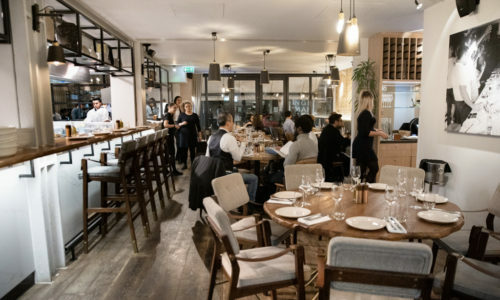 The dining room is more chic than the average of neobistros and there’s a serious selection of cocktails on top of the wines by the glass (all below 10 euros). 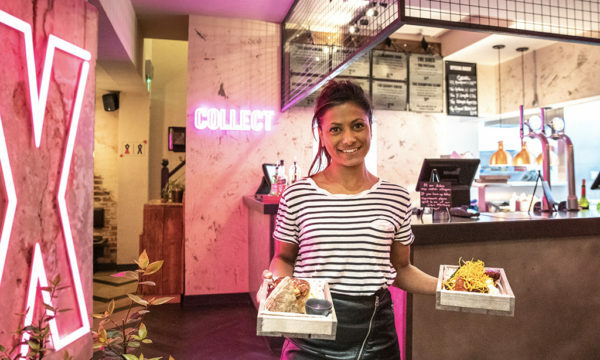 To book a table at Elmer, 30 Rue Notre Dame de Nazareth 75003 Paris France, call +33 1 43 56 22 95 or visit their website here. 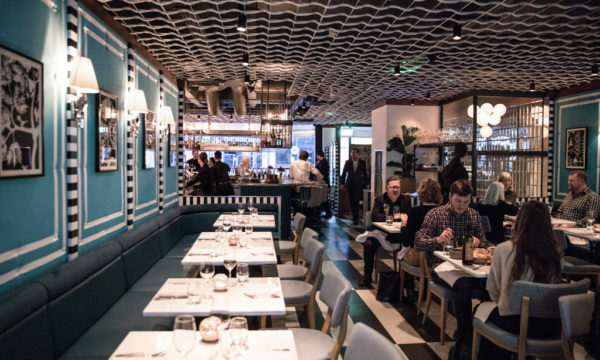 In the pretty streets of the 10th arrondissement of Paris lies Eels, a hip neobistro unmistakably teal painted. 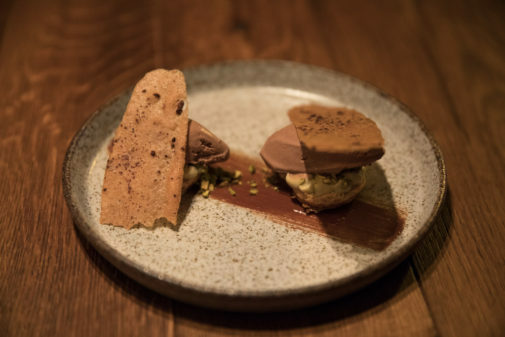 Chef Adrien Ferrand is one of the latest talents to emerge from the French capital’s dining scene and, given the deliciousness of the food, it’s no wonder. Dishes get plated by the counter in front of the open kitchen, which is always fascinating, and during the day the light makes this little, elegant restaurant glow. 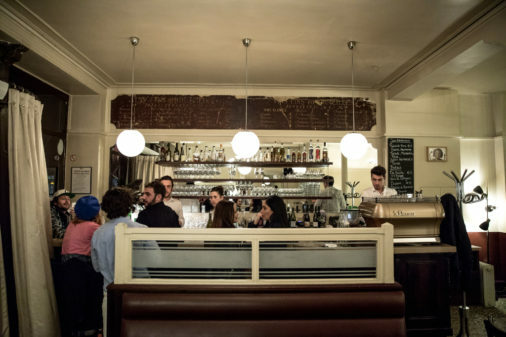 To book a table at Eels, 327 Rue d’Hauteville 75010 Paris France, call +33 1 42 28 80 20 or visit their website here. 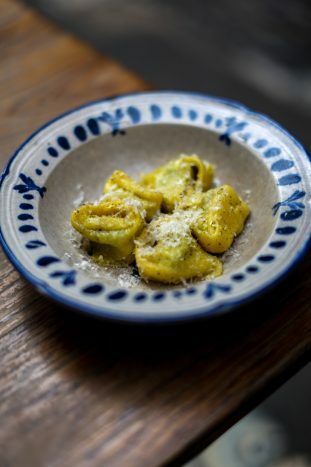 Last January the Sardinian chef who took Paris by storm with Roseval – and then opened his self-centred restaurant Tondo on the former grounds of La Gazzetta – started another culinary adventure, joining iconic bistro Racines and turning it into a “bistrosteria”. 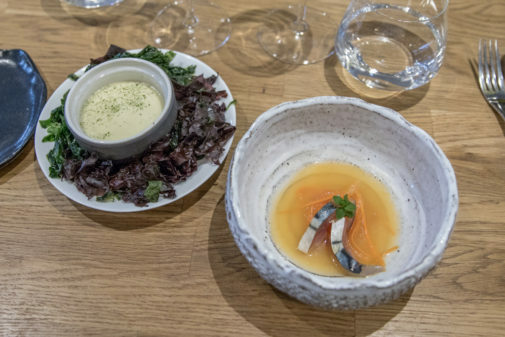 We passed by to taste his talked-about food but it was closed – on that day the chef travelled to Lyon to cook with Inaki Aizpitarte, Bertrand Grébaut and Sven Chartier for an event. 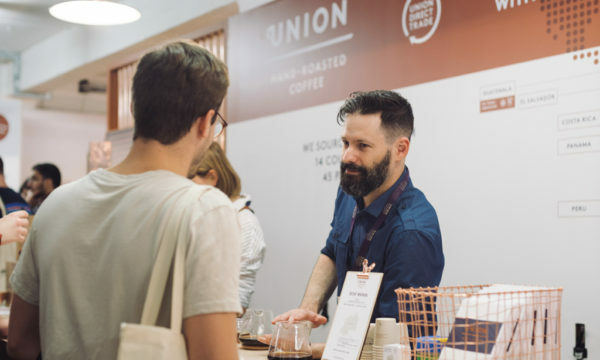 We’ll have to return soon, it’s a must-try. 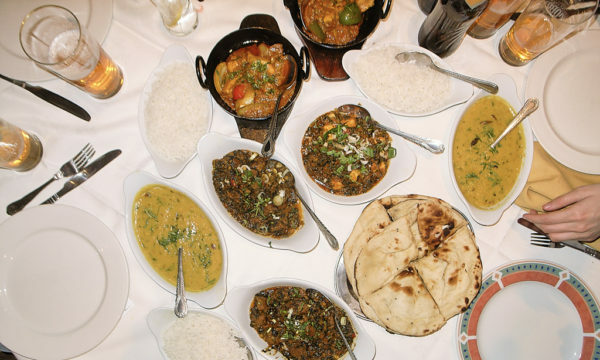 To book a table at Racines, 8 Passage des Panoramas 75002 Paris France, call +33 1 40 13 06 41 or visit their website here. 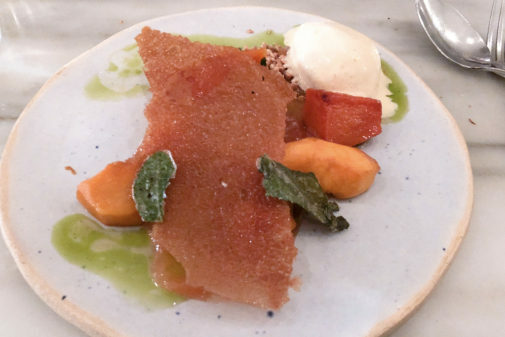 The sister restaurant of cult bistro Pantruche, Caillebotte disappointed us on both the food and service sides. 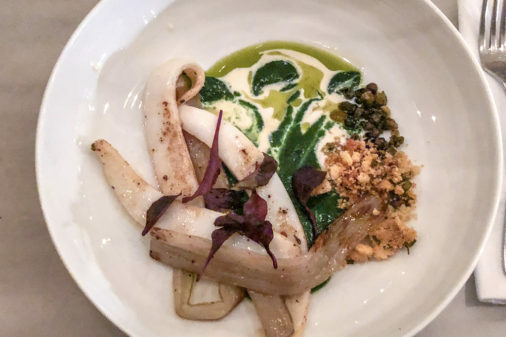 First a dish of cuttlefish was too tough to chew, then the waiter served us in such an abrupt manner it was hard to understand – there were just three tables at that time. It wasn’t a disaster – the scallops dish was actually great and the canette too – however, it just wasn’t a particularly pleasant dinner. 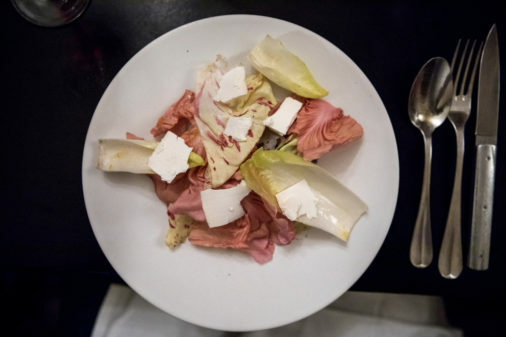 To book a table at Caillebotte, 8 Rue Hippolyte Lebas, 75009 Paris France, call +33 1 53 20 88 70 or visit their website here.